Can I route the metronome output similar to SONAR/CbB? 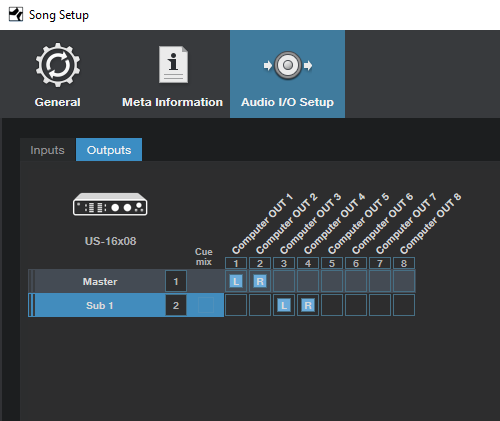 Can I set the metronome to only engage on record like SONAR/CbB? 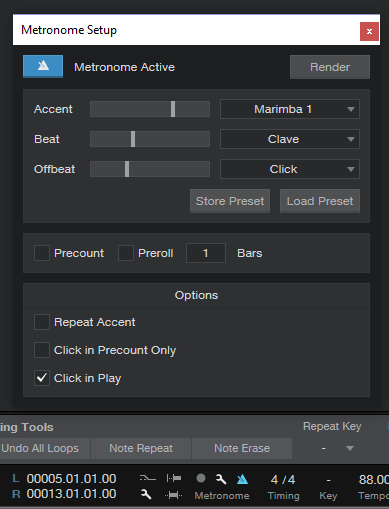 I know I can render the metronome to an audio track and that allows for my workflow routing of the metronome. 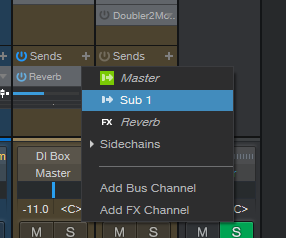 And I guess I can mute the track on playback. But.....that requires thinking between recording and playback. Each output in SO has it's own metronome. The setup options accessed in the Transport are global to all of them. Uncheck Click in Play, and it will only click during record when enabled. Each output has it's own individual On/Off and level control. The Transport Metronome is global control. Enable there, then set the individual outs the way you want them.